For the effective connection of pipes into manholes and other pre-cast structures, VIPSeal® wall seals are used with pre-formed or cored holes. They are particularly well suited to pre-cast structures or the post fitting of pipes. Wall Seals allow for angular and lateral misalignment of the pipes and provide an effective seal against water penetration along the pipe. The design incorporates multiple ribs on the inside of the seal, allowing resistance to shear loads and angular deflection while maintaining a watertight connection. 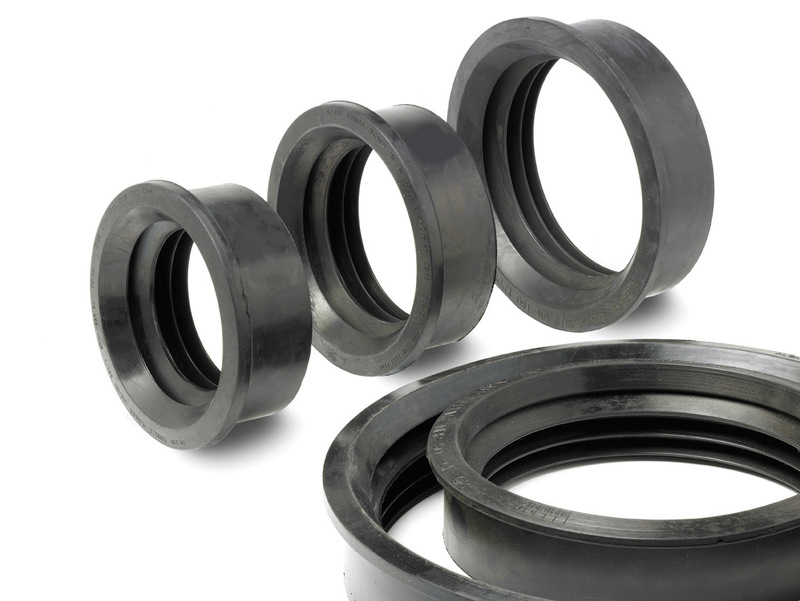 Wall Seals are available in a range of sizes allowing a connection of almost any pipe material and a large range of diameters. Walls seals can also be used to connect PVC pipes into corrugated pipes. Available in sizes DN50 upwards. Manufactured using an ISO 9001 Quality System. Can be used in both prefabricated and core drilled holes. Allows a high level of angular deflection.